One of the fun aspects of having a variety of guests come together for your wedding ceremony is taking in the personal style choices of those you love. With the influx of fall fashion and impending flurries, we’ve been thinking about styles for gals who want to gussy up for nuptials but don’t want to wear a dress. So, who wears the pants? Everyone! As unusual as pants may seem for a bride, they were everywhere at last year’s Bridal Market, and we love the idea of power-dressing for your walk down the aisle. Consider an embellished jumpsuit or a cut-away dress with pants and a flared train, and don’t be afraid of a little color! This is for the bride who knows herself thoroughly and is willing to buck tradition for a little more bang. 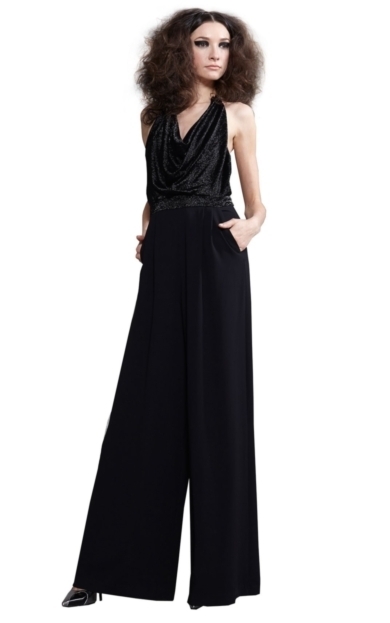 We love glam jumpsuits for bridesmaids! A wide-legged silhouette will give the illusion of dresses, and pairing them with heels and beautiful hair and makeup ensures they will look formal enough. So your mama is a bit more soccer than Saks? Don’t fret! We love a fantastic pantsuit or simply pants paired with an oversized top for the mom who doesn’t feel like a dress is appropriate for her style or sanity. (Emotions are at an all-time high at a wedding and you want your parents to be as comfortable as possible!) 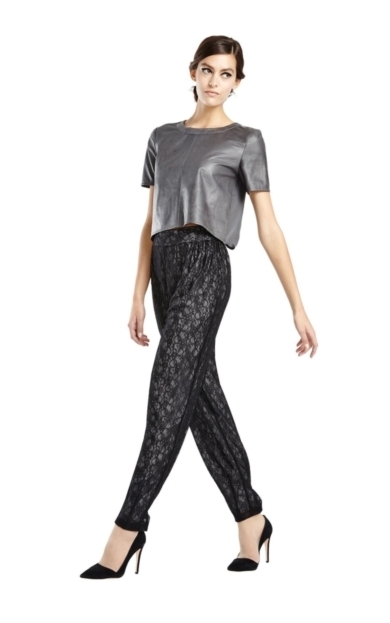 Look for separates that are striking yet subtly elegant. To pull of terrific trousers, we think it’s best to be mindful of fit and flare: try a slim, tapered pant or go high-waisted and wide-leg. Opt for darker colors like navy, gray, and black and pair with a tucked-in blouse and fabulous accessories for a sophisticated look.